Since ancient times, metaphysical theories have been shaped by the dialectical relations between metaphysical positions. 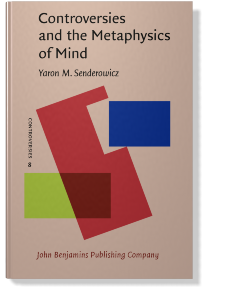 The present book offers a new account of the role of controversies in the evolution of ideas in current metaphysics of mind. Part One develops a pragmatic theory of metaphysical controversies that combines Kantian themes and themes from current argumentation theory. The theory developed in this book underscores the role of a unique type of dialectical arguments which establish metaphysical positions as controversial relevant alternatives in the evolution of chains of debates in metaphysics. In Part Two and Part Three, this theory is applied to chains of debates in present day metaphysics of mind which address the problems of consciousness and personal identity. One of the contentions defended in this book is that the intellectual history of metaphysics is not a process in which positions are replaced by opposite positions, but rather, a history of their status as relevant alternatives. The book analyzes in detail and demonstrates how progress in contemporary metaphysics of mind consists in a dialectical process through which challenges to extant positions lead to innovative alternatives that are intrinsically relevant to advancing the understanding of the issues under discussion.